1887 – Birth of Georges Pierre Blanc, French World War I flying ace. 1916 – First American pilot to be shot down, Horace Clyde Balsley of the Lafayette Escadrille, is wounded and survives the engagement. 1928 – A Latham 47 – a French twin-engine biplane flying boat piloted by René Cyprien Guilbaud – carrying Norwegian polar explorer Roald Amundsen and five others on a flight to search for survivors of the Italian airship “Italia” disappears. No bodies are recovered. 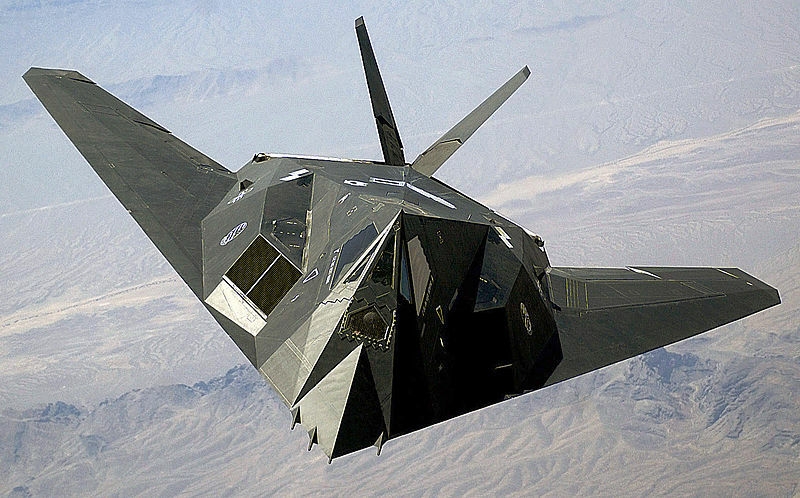 1981 – First flight of the Lockheed F-117 Nighthawk (shown above), best known as the world’s first stealth fighter. 2011 –The first transatlantic biofuel flight is made by a Gulfstream G-450 from Morristown N.J. to Le Bourget (France).